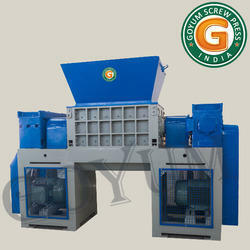 Prominent & Leading 100% Export Oriented Unit from Ludhiana, we offer paddy straw shredder, msw shredder, rdf shredder, waste management shredder, plastic shredder and cloth shredder. 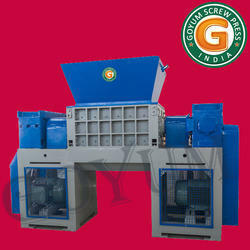 GOYUM SHREDDER comes in Dual Shaft Shredding System and are ideal solution for MSW (Municipal Solid Waste), Industrial Waste, Metal, Wood, Paper, Tires / Tyres, Plastic, PET Bottle, etc. Shredder Blades are made from High Carbon Steel (Tool Steel) having wearing resistance and shock protection. 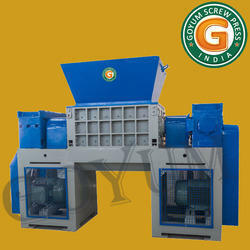 Shredder Spacers are made from Alloy Steel) having wearing resistance and shock protection. 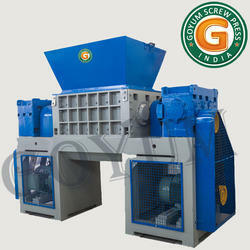 Shredder Shafts are made of EN 8 Grade Steel. Shredder Housing, Hopper and Base Frame are welded construction of High Tensile Plate. Low Noise, Dust and Heat Generation. 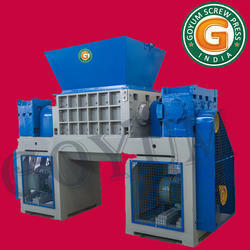 Shredder Capacity – 8 to 10 Tonnes / Hr. throughput. Shredder Finish – Primer Coated with Glossy Finishing. GOYUM SHREDDER comes in Dual Shaft Shredding System and are ideal solution for MSW (Municipal Solid Waste), Industrial Waste, Metal, Wood, Paper, Tires / Types, Plastic, PET Bottle, etc.